When I bred Winston to Lacee my goal all along was to keep a boy. JUST a boy. I was not going to keep two puppies. But one little girl kept catching my eye. From the time she got up on all fours she walked into a perfect stack. Her endearing little face kept drawing me in. Finally, with a sigh, I realize...why fight it...she's staying. Meet Amook's Flirtin' With Disaster...Molly, or Molly-Polly-Peanut, as I call her. 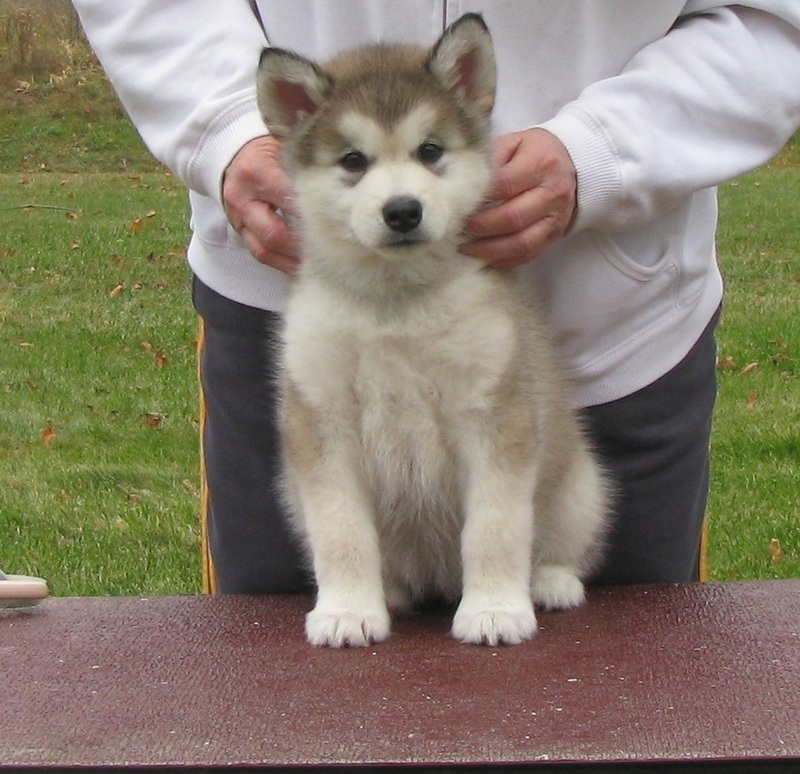 As her sire was in his litter, she is the perfect blend of her parent...a perfect next step to my breeding program. And this pretty little girl did not disappoint. Molly finished her championship with 3 majors and a couple of singles at 18 months old, just as her sire did. Molly is our path to the future here at Amook.